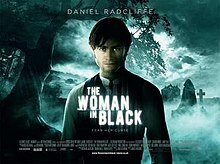 For this weeks Book To Movie Monday I have decided to cover The Woman In Black. Now for a little back story in case some of you aren't familiar with the Novel. The Woman In Black is a Novel written by Author Susan Hill. 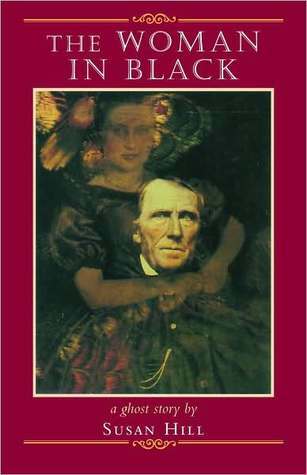 The Woman In Black was published October 10,1983 by Hamish Hamilton. The story takes place in a small English town, and is about a Ghost who foreshadows the deaths of children. Arthur Kipps- A down on his luck lawyer in Edwardian England. Arthur is forced to travel to a remote village to attend to the affairs of the recently deceased owner of Eel Marsh House. Samuel Daily- A kindly local man who befriends Arthur and allows him to stay in his home. In the book the children's deaths in town are never really shown, mostly talked about. In the Movie you get to see each death as it occurs. In the Book Arthur Kipps has a fiance. In the Movie Arthur is a widow. His wife died in childbirth. In the Book Samuel Daily is the one who tells Arthur the story about the Woman In Black. In the Movie Arthur uncovers the story while searching around Eel Marsh House. In the Book Arthur is left alive. He does however witness the deaths of his son and wife. In the Movie Arthur tries to save his son from The Woman in In Black but they are both killed by being run over by a train. In the Book The Woman In Black is known but only shown in brief moments. In the Movie she is shown quite often, almost a bit to much if you ask me. In the Book an older Arthur is narrating the story describing his time at Eel Marsh House. In the Movie the book just starts with him younger. Older Arthur is dropped. In the Book the characters are much more cheerful and happy go lucky. Arthur is happy, has a fiancee, and is optimistic about the future. In the Movie everything takes on a dark tone. Even Arthur's mood has changed to that of sullen and broody. the question that remains is which do I prefer? It is a fairly easy choice for me, while both were brilliant in their own ways, ultimately it comes down to Danielle Radcliffe. I loved him in the role of Arthur Kipps, he was brilliant in the role. Due to his acting and the gorgeously shot sets the movie pulls ahead of the book by the slimmest of margins. Definitely read the book, it is worth it believe me. Still unsure? Check out the trailer below and decide for yourself! Well that about wraps up this weeks Book to Movie Monday. Have a recommend for an upcoming Book to Movie let me know in the comments below. Have you read the book or watched the film? Which did you like better? Why? Do you like Ghost Stories? Which is your favorite? Leave your answers in the comments below, I love to read your responses. I'm sure you've heard about Warm Bodies. 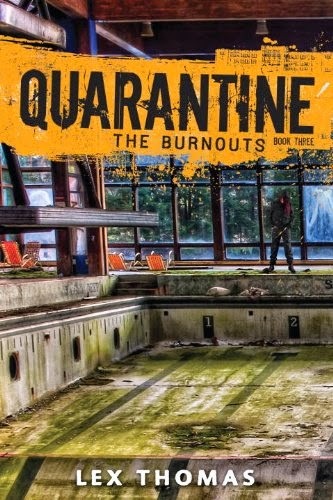 Are you going read this book to movie? Yup, I have plans to.